Head of State, Tun Pehin Sri Abdul Taib Mahmud (fifth left) with iCube Innovation founder and chairman, Dato Patrick Liew (fourth left) and others during a courtesy call at Astana Negeri in Petra Jaya, yesterday. Head of State, Tun Pehin Sri Abdul Taib Mahmud (sixth right) with the committee members of the Pre-School Education Convention, led by Minister of Welfare, Community Well Being, Women, Family, and Childhood Development Dato Sri Fatimah Abdullah (sixth left) at Astana Negeri in Petra Jaya, yesterday. KUCHING: Head of State, Tun Pehin Sri Abdul Taib Mahmud, received two courtesy visits at Astana Negeri in Petra Jaya, yesterday. The first one was from the committee members of the Pre-School Education Convention, led by Minister of Welfare, Community Well Being, Women, Family, and Childhood Development Dato Sri Fatimah Abdullah. The purpose of the visit was to invite Taib to officiate the convention, which is in its 12th edition that will be held today in Kuching. 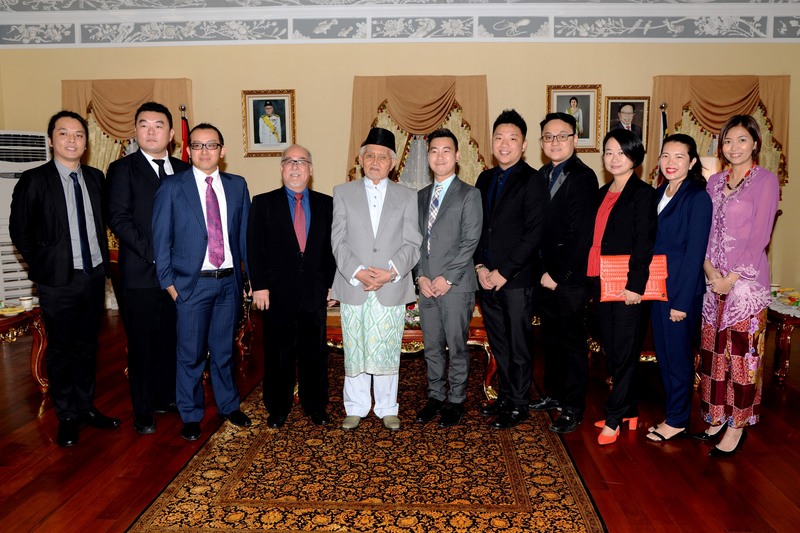 The second courtesy call was from iCube Innovation founder and chairman, Dato Patrick Liew, who led the delegation made up of young entrepreneurs from the iCube Incubation Innovation Centre. Their purpose for the visit was to share the latest developments on entrepreneurs. Two courtesy calls for Taib 0 out of 5 based on 0 ratings. 0 user reviews.